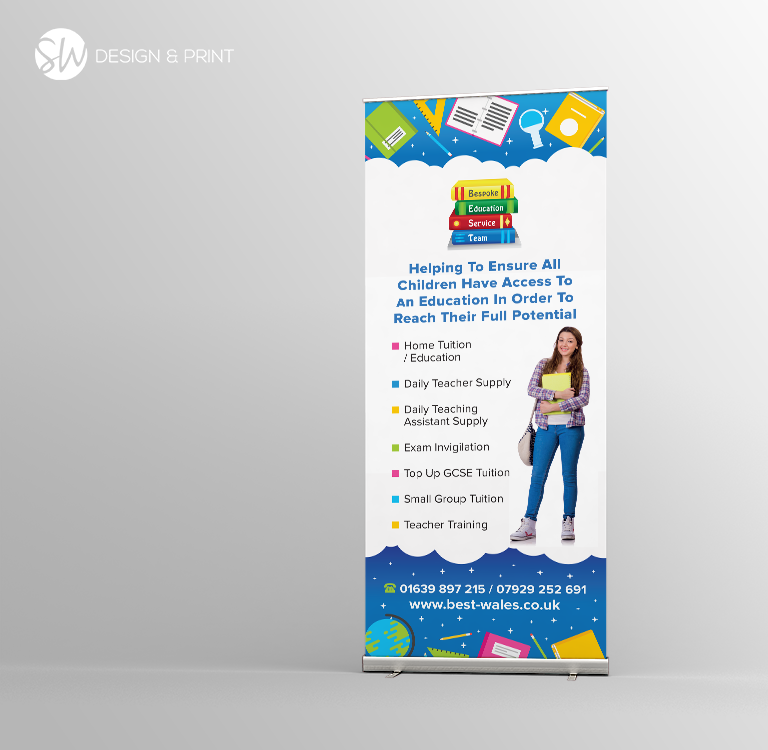 Bespoke Education wanted a pull up banner to show their different services, from supplying teacher cover to home tuition. 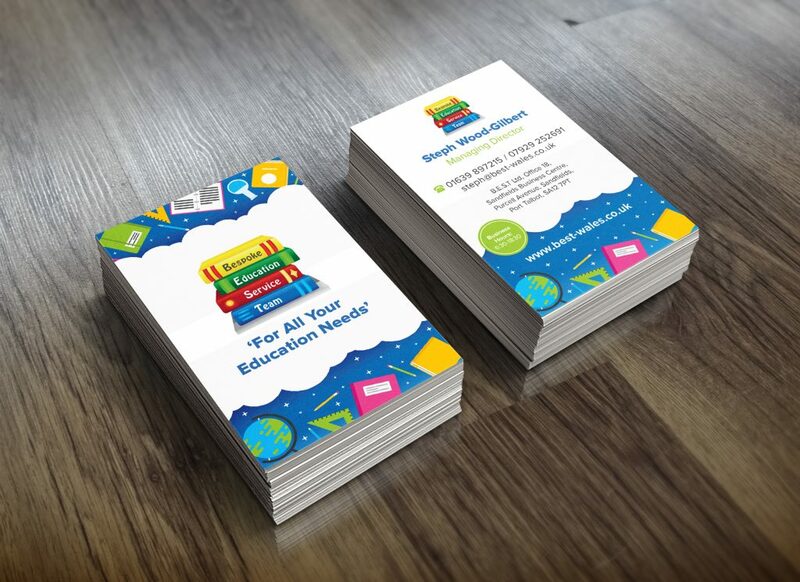 We also created business cards and a poster to tie in their new branding! Registered Address: Office 18, Sandfields Business Centre, Purcell Avenue, Port Talbot, SA12 7PT.